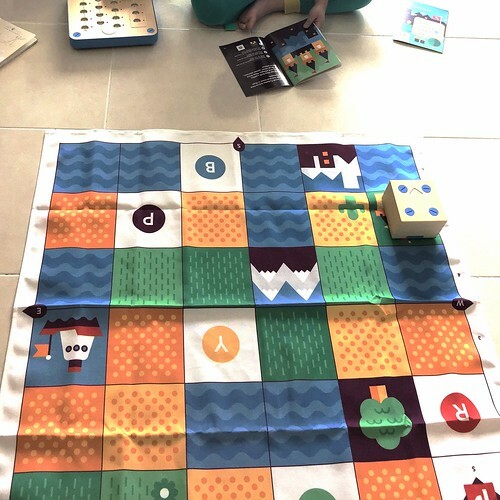 We first heard about Cubetto on Kickstarter. 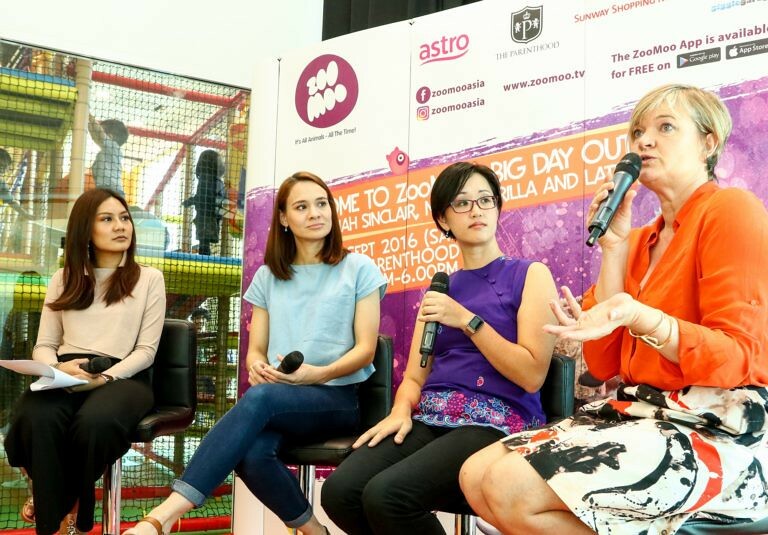 It sounded like a really cool – non-screen coding program so I supported it, thinking it would be a great way for G2 to learn the basic concepts of coding. Cubetto finally arrived and we got started on Cubetto’s First Day. The kids had to program Cubetto to help it get to specific locations on the map following the instructions from the story. Since Cubetto is pretty user-friendly, all I had to do was set up the batteries and leave it to the boys to figure the rest out. 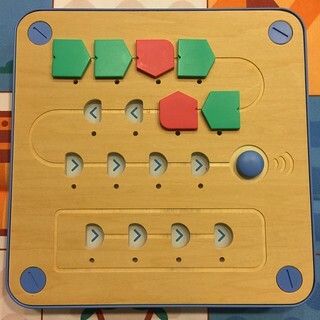 Cubetto comes with a programming board and special blocks that tell Cubetto what to do, such as “go straight” (green block), “turn right” (red block), and “turn left” (yellow block). The blue block is a function block that allows Cubetto to repeat a series of commands that is input into the bottom line on the programming board. 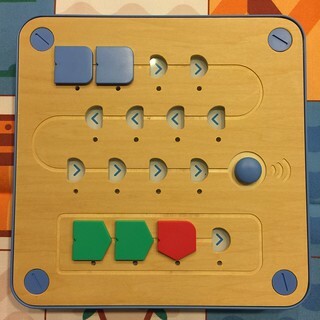 For example, if you want Cubetto to move forward two steps, turn right, move forward two steps, and turn right, you can place two green blocks followed by a red block in the function line (bottom line), and place two blue blocks onto the programming line. In other words, both sets of instructions show in the images above will be performed by Cubetto in exactly the same way. Purple Block – Backwards: makes Cubetto move backward. Black Block – Random block: makes Cubetto make a random movement – it could be forward, backward, right or left. Pale Yellow Block – Negation block: makes Cubetto do the opposite of the next block in the sequence. 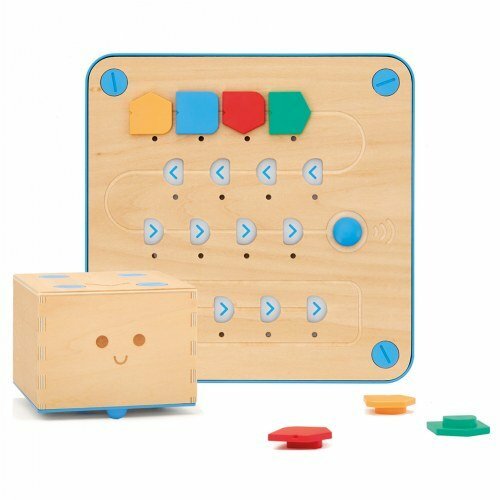 Once your child has completed a series of instructions for Cubetto, they can be sent to Cubetto by pressing the blue “GO” button. As you can see, it’s child’s play. Communication – through listening to the stories that relate to Cubetto, they need to reproduce Cubetto’s movements on the physical map. 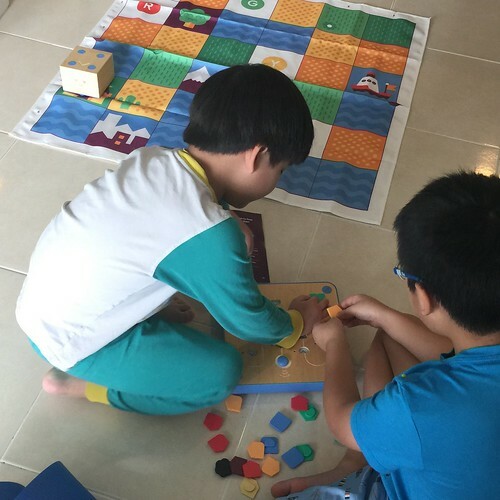 Spatial Reasoning – the children need to direct Cubetto movements according to Cubetto’s perspective (which may not necessarily be the same as their own). 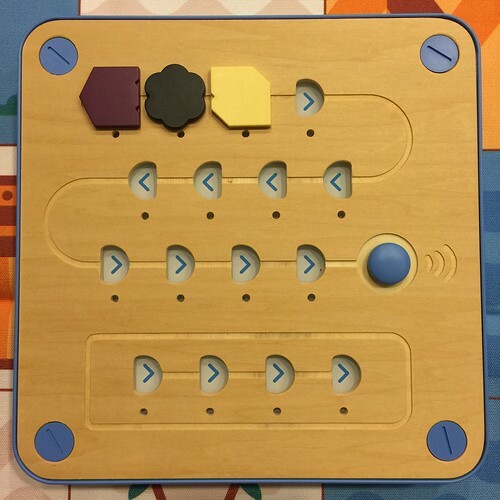 Pattern Recognition – children need to recognise patterns in Cubetto’s movements so they can simplify their program by using the function block. 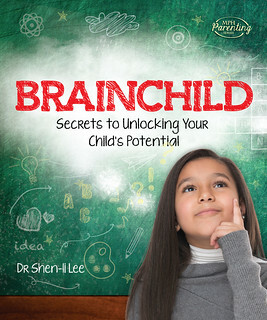 Problem Solving – following the stories, children need to figure out how to get Cubetto from point A to point B.
Analytical Thinking – if Cubetto moves in the wrong direction, the children need to figure out what changes to make to their program. This is also called “debugging”. Cubetto Gets Lost – A fast-paced ride through a bustling metropolis. Negotiate high traffic between dizzying skyscrapers, and take in the parks, markets and landmarks. Beep beep! What a buzz! Cubetto’s Class Trip – A historical journey to the Great Pyramids. Learn about long-lost civilizations and hieroglyphics. Unearth ancient treasures, and solve the Sphinx mysteries. Cubetto’s Deep Dive – A submarine voyage below the waves. From bubbling underwater volcanoes, to sunken treasures. Swim beneath the icebergs of the North Sea, and up again. Cubetto’s Polar Expedition – A heart-thumping Arctic race. Slick through icy plains, past polar bears and weather stations. Travel by starlight under the Northern Lights. Cubetto Leaves Earth – A trip to the fringes of our solar system. Visit the International Space Station, Mars, and Jupiter. Wave at our pale blue dot from the depths of our galaxy. Cubetto’s Swampy Adventure – Take an airboat ride through a misty marshland. A world filled with exotic plants and animals. Take in the sights, and make some friends along the way. For today, our extension included looking at the topics surrounding Cubetto’s First Day. 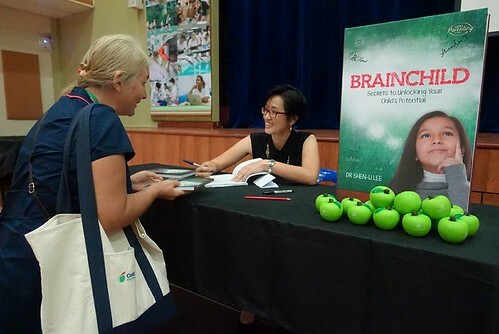 Cubetto is recommended for children aged 3 years and up. 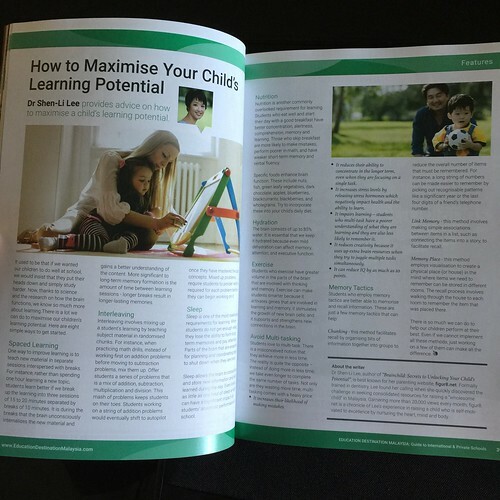 It is a great tool for introducing the basics of coding to young children who require concrete examples and a 3-dimensional perspective to help them build the foundation for their understanding. Being able to work with physical command blocks and an actual robot model before moving on to abstract concepts on a screen will provide that. If you do have older children that are new to coding, I would recommend Osmo Coding with Awbie instead.